Once all the basic data has been entered into the window calculator the second step deals with more detailled information. Here the type of glazing is first selected. 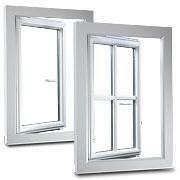 The customer can choose between double or triple glazing. Additionally you may choose to equip the window with sound-proofing glass, anti-burglar glass or alternatively with a more ornamental or structured glass. These functions, too, come in a variety of price classes, which are then displayed immediately in the window calculator on the basis of the surface area of glass already entered. After this step the window can be fitted with window bars if required. We offer three different types of window bar. The first are the so-called "mullion or glazing bars“, in which each individual window section contains a single pane of glass which are then joined together by the bars. Another type, is the so-called "fake bars“, such as, for example, adhesive bars which are simply stuck to the surface of the glass. The Vienna-style glazing bars are such that the bars are not simply added to the front and back of the inside and outside pane but also added within the separation gap. This produces the best possible illusion of authentic mullion windows. This design presents a good price to performance. The actual number of horizontal and vertical bars can be selected by the customer in our window calculator. Just click the button „Refresh“ and immediately the new price calculation will be displayed. The next step is where you select the type of window fittings. These are important concerning anti-burglary measures. Hereby the motto is: the more fittings, the more secure. You can choose between resistance classes 1 and 2. And, naturally, all windows require handles. 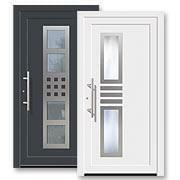 Here it is possible to choose between white and silver or between lockable and standard window handles. You can even select a window sill. These are available in a variety of colours and sizes, for indoors or for outdoors. For the shutter slats themselves there are two materials to choose from, PVC and aluminium. And finally you can enter information on any possible window extension, e. g. added room for a possible belt drive for the shutters. Now all you need to do is click the button "Into the basket“ and immediately your selection is added to your shopping basket. Our window calculator has been designed to be as user-friendly as can be. However, if you should have difficulties at any stage, then you can use the special „Info“ buttons, which you can see to the right of each window characteristic and which will open up simply by passing over it with your mouse cursor. 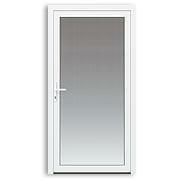 All individual elements or parts of our windows are brand-name products and made in Germany. In the third step you will find yourself at the Shopping Basket. Here you have a complete overview of the windows as calculated. Additionally at this stage it is possible to enter the exact number of windows and to make any necessary changes to your order. The fourth and final step deals with the required personal data, payment and delivery options. Only when all the data has been entered can the order be sent. And so, in just four simple steps, you have configured your very own personal windows.